At present, green buildings are defined as ones that do less damage than normal practice (i.e., LEED rewards energy consumption up to 60% less than baseline, but not more). This is not good enough, and we urgently need to move to true sustainability, and beyond. To us, Sustainable means no negative impacts – a system that can continue forever. Green means something better: systems that do more good than harm. We have chosen the word Productive to represent our aspirations, because it means positive impact, like Green, but includes also human and economic productivity. The way we build and use our buildings affects everything we do. The built environment affects the natural environment almost as much as it affects the human one. Buildings and infrastructure are responsible for the majority of energy use and carbon and other emissions, use a great deal of water, and generate large amounts of waste. Given the interconnectedness of all these issues, we need to be aware of, and look for inspiration in, every factor that relates to a project, including history, economics, biology, agriculture, natural context, cultural context, safety, health, and others. We try to solve these problems on the smallest scale, where they are the most challenging, and then develop variations and scale up (or down) as appropriate. How sustainable can a building be? Is the best solution on a national, regional, municipal, or neighborhood scale? How do we define “best”: on economic, technical,or other criteria? 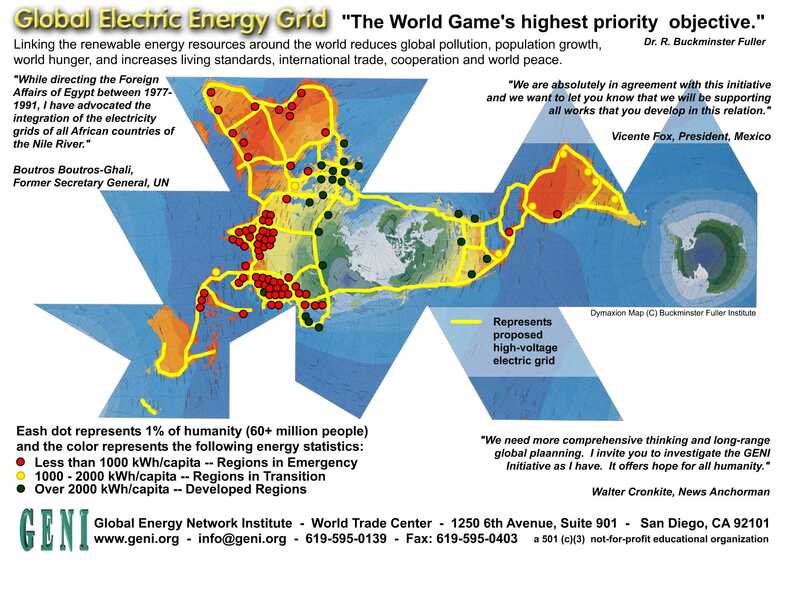 For example, energy self-sufficiency can often be achieved on a single building, but usually is most easily done on a net basis if the building is connected to the power grid. 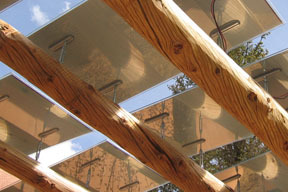 Larger systems will usually cost less per watt generated, and they may be located in places with more sunshine, but lower costs and higher output may be offset by transmission losses. Transmission lines may be politically difficult to build. And there are a series of other issues that are rarely considered: what about the political, military, social and cultural implications of centralized infrastructure? The fact is that there is no clear answer to many of these questions. At K+C, our expertise is not unlimited, and we control only certain aspects of the projects we work on . So we try to solve as many problems as we can, as elegantly and economically as possible, within the scale of the individual project. If individual buildings can be completely sustainable, and viable in technical, aesthetic, and economic terms, then other, larger scale solutions are likely to be no more difficult technically, and may (or may not) be more economical. An essential challenge of architecture, and what differentiates it from sculpture and painting, is to accommodate human function as well as the human spirit. A building that ignores one of these factors at the expense of the other may be good in its own way, but cannot be considered a complete architectural solution. A true solution integrates program and systems, with form and materiality. Functional aspects of a building should be expressive, and expressive aspects functional. The condition of the environment is one of the defining problems of our time, and belatedly the building community is coming to understand that we are a large part of this problem (in some sectors the largest part). Construction has direct and indirect effects on energy, water, waste, and transportation; and also profoundly shapes and embodies human behavior and aspirations. However, architecture today is a long way from sustainable, and the green building movement for the most part does not fully recognize the scale of the problems, or by extension, the nature of the solutions. We are interested in environmental factors as a source of design inspiration for two reasons: because they are important in themselves, and also because they make for better quality architecture. We do not define our work in the context of environmental alarmism, “restorative” design, or biomimicry - ultimately we have a traditional approach to architecture, embracing placemaking, sensitivity to context, urbanism and appropriate technology. If we achieve these goals, we are doing our job.